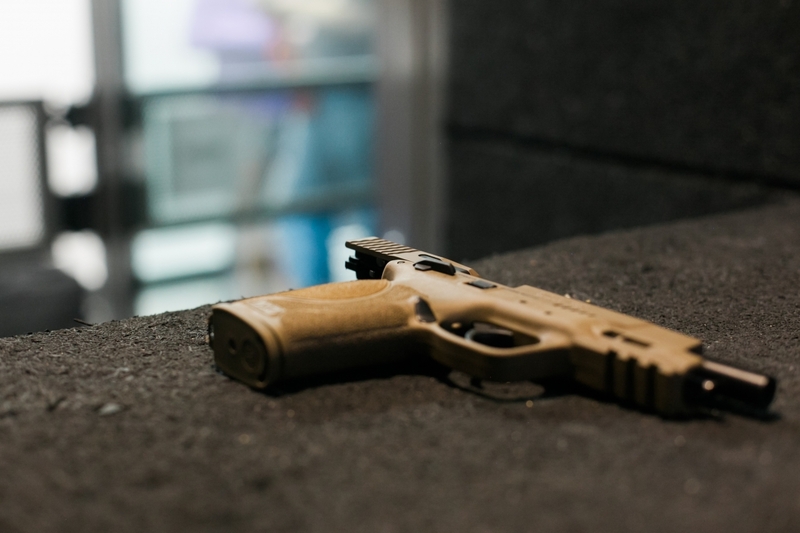 Goal: 22three's EDC Pistol Shooting Sequence will help improve your protective pistol shooting skills, whether you're on move, handling a malfunction, dealing with multiple threats, or shooting in low light. Learn more than you thought you could, having more fun than you thought you could have. 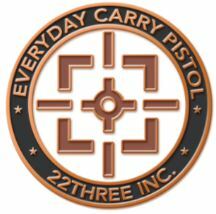 So, bring a friend and work through 22three's EDC training modules. Complete all 7 primary EDC training modules and earn 22three's EDC Challenge Coin. Cost/Time: $60/2-hr. (each) when you sign up for 2 or more (now through the end of the summer). Otherwise, each class is $75. See Discounts below for details. Discounts: For a limited time, enjoy 20% off when you sign up for 2 or more EDC classes (only $60 each). We see great value in taking more than one EDC class because the skills build off one another (and they're FUN), so we do offer a bundle discount. If you sign up online, you will be charged the standard amount and the 20% discount will be given to you as a 22three gift card. (For every 2 EDC classes you sign up for online, you will receive a $30 22three gift card!) If you sign up over the phone or in the store, the discount can be taken off the top. Had a blast and want to do it again? Repeat a class for only $50. Dates: See our full training calendar; or link to dates and sign up online. Of course, we also love it when people call or stop in. 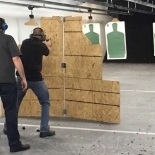 Goal: Learn the how-to’s of a safe, effective draw-stroke through detailed discussion, demonstration of best practices and hands-on practice; and expand your knowledge of close quarters shooting fundamentals pertaining to drawing from a holster. 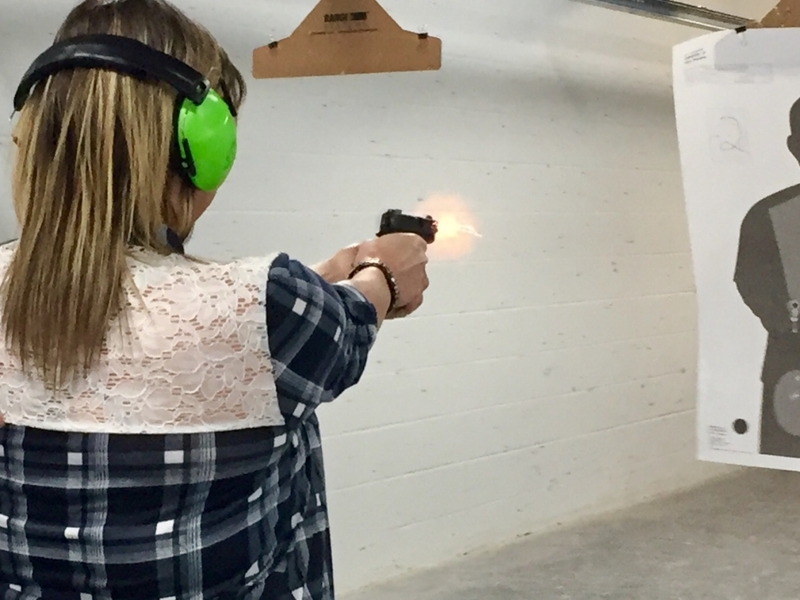 Who: Individuals wanting to incorporate best practices for a safe, effective draw stroke into their everyday carry lifestyle. 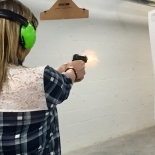 Why: Having a safe, effective draw stroke will increase the safety and protection of you and those around you. 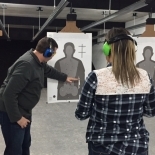 Prerequisite: Quality CCW class or Pistol First Steps required. This class (along with EDC - Movement & Cover) is an important prereq for many of our other EDC classes. Required Equipment: reliable handgun; strong side, outside the waistband holster that doesn’t collapse on drawing; 50 rounds ammo; cover garment; at least 1 spare mag with mag holster (or spare speed loader for revolver); no Serpa holsters please. 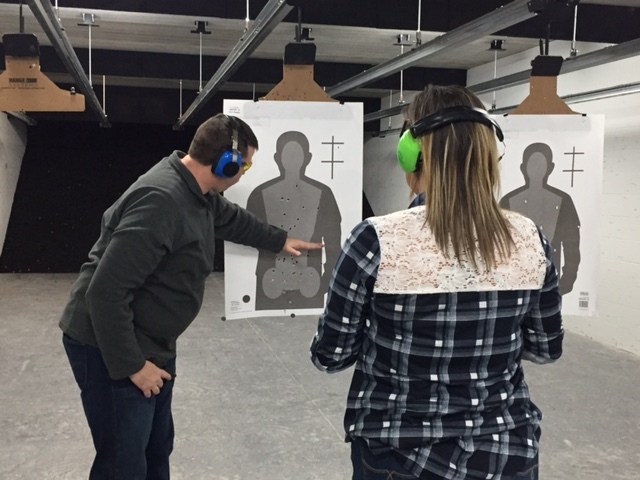 To sign up for this or other firearms training classes, call, stop in, or sign up online. 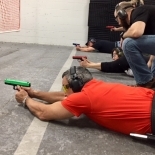 Goal: Students will increase defensive awareness and improve defensive marksmanship with valuable, practical pistol skills including moving and shooting and use of cover. Why: Because you may be your family’s first responder. 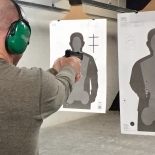 Prerequisite: Quality CCW class or Pistol First Steps class required. This class is an important prereq for many of our other EDC classes. Required Equipment: reliable handgun; outside the waistband, strong side holster; 150 rounds ammo; at least 1 spare mag with mag holster (or spare speed loader for revolver); no Serpa holsters please. Goal: In this class, we work through many of the things that can and do go wrong. 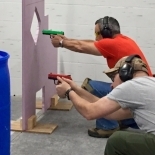 This class will enhance students’ reloading technique and speed and improve handling of malfunctions at unpredictable times during a variety of engagement drills. Who: Individuals wanting tips, tricks and hard-core practice to help you be prepared for any contingency. Why: Because things don't always go right. 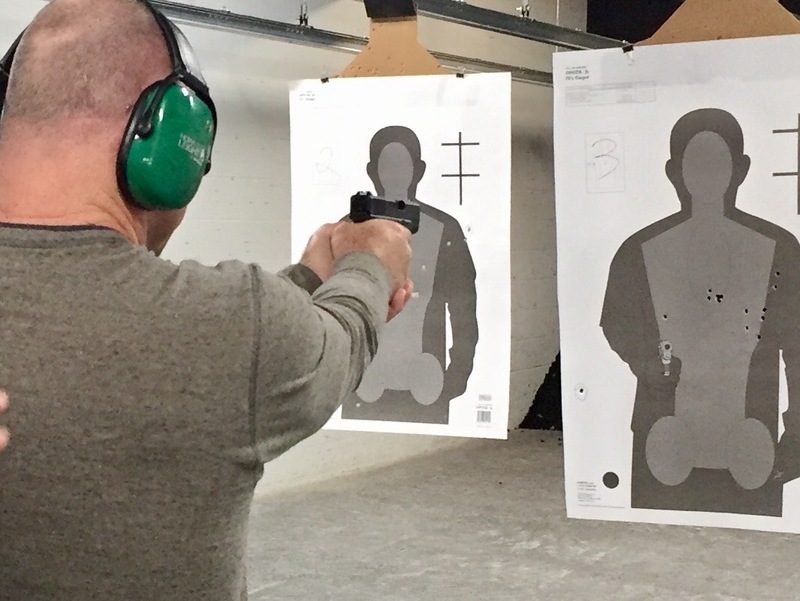 Prerequisite: Quality CCW class or Pistol First Steps required. Strongly recommended: EDC - Movement & Cover and EDC - Drawing from a Holster. Required equipment: reliable handgun; inside or outside the waistband holster that doesn’t collapse on drawing; 150 rounds ammo; at least 1 spare mag w/mag holster (or spare speed loader for revolver); no Serpa holsters please. 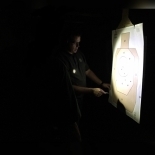 Goal: This class builds upon the skills learned in EDC – Movement & Cover, EDC – Drawing from a Holster, and EDC – Malfunctions & Reloads to help students push their defensive marksmanship skills through best practices for engaging multiple targets at various distances and shooting until the threat is stopped. 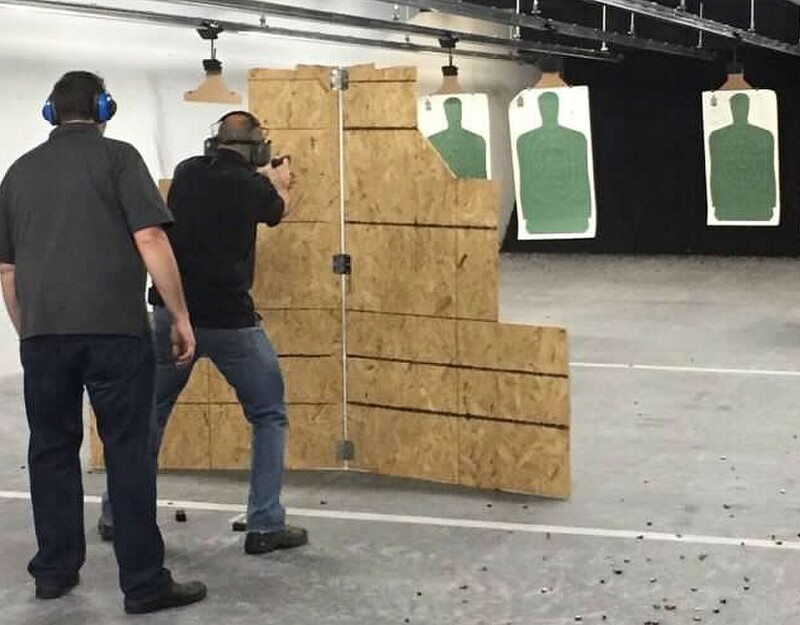 Who: Those wanting a new challenge to continue progressing in their protective pistol mindset, moving & shooting until the threat is stopped. Why: Because it's a crazy world out there. Prerequisite: EDC – Movement & Cover and EDC – Drawing from a Holster. Required equipment: reliable handgun; inside or outside the waistband holster that doesn’t collapse on drawing; 150 rounds ammunition; at least 1 spare mag with mag holster (or spare speed loader for revolver); no Serpa holsters please. 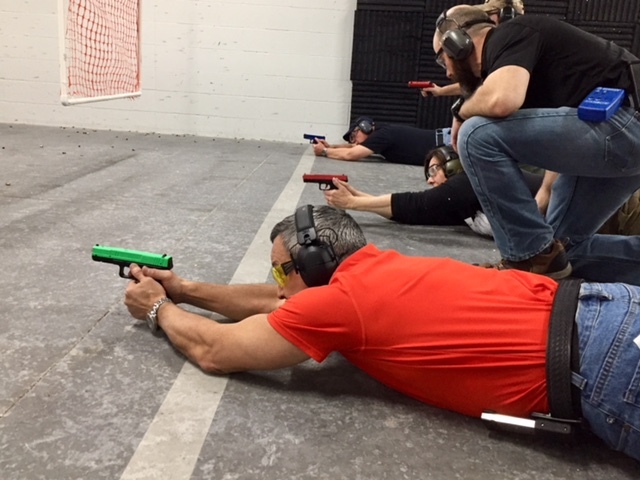 Goal: This class builds upon the skills learned in previous EDC classes, with specific attention given to engaging threats from turns and pivots and alternative shooting positions not previously explored, including but not limited to prone, supine & roll-over shooting best practices. Who: EDC students wanting to test their limits with more advanced movements, techniques and positions. Why: Because you will be a better prepared, defensive marksman ... and you'll have fun along the way. 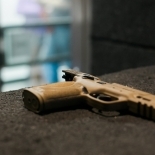 Prerequisite: EDC – Movement & Cover, successful completion with an 80% accurate hit rate at 5, 7, and 15 yards. Required equipment: reliable handgun; inside or outside the waistband holster that doesn’t collapse on drawing; 150 rounds ammo; at least 1 spare mag with mag holster (or spare speed loader for revolver); no Serpa holsters please. 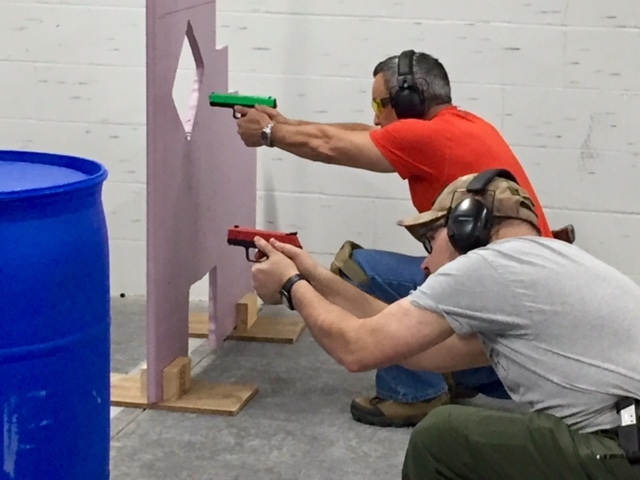 Goal: As the first in a 2-part low light training series, students will gain valuable knowledge and practice shooting in a more stressful, low-light environment, continuing to incorporate and build upon key pistol skills learned in previous EDC classes. Students will gain valuable experience incorporating best practices in low-light tactics, including low-light shooting with a police bar. Who: Those wanting to learn best practices for shooting in low-light conditions. Why: Because bad guys like to take advantage of darkness and we want to use our skills for good and not evil. 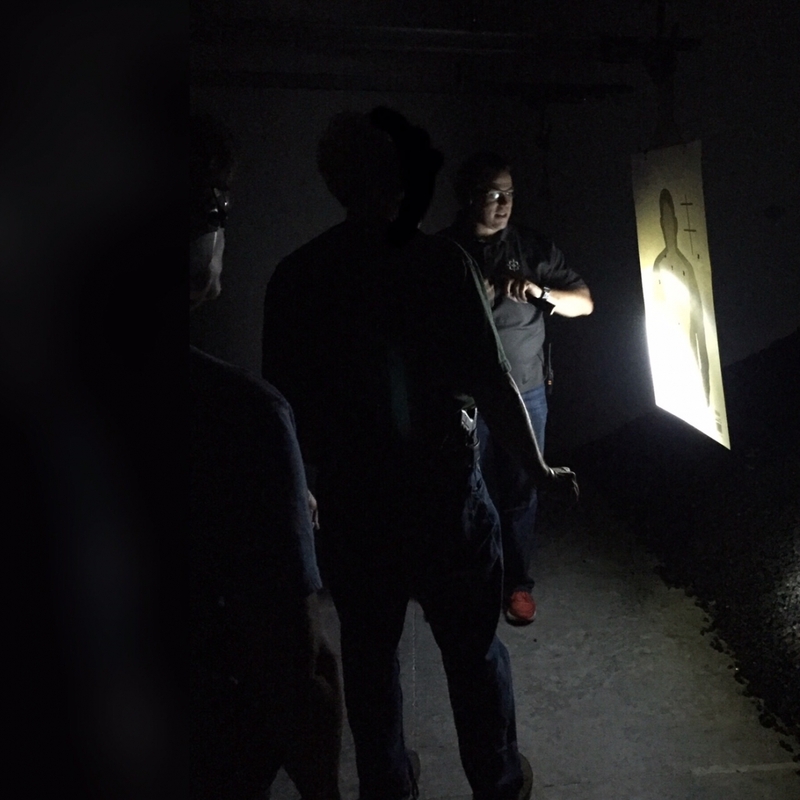 Goal: Students will learn the advantages and how-to’s of choosing and using tactical flashlights and will put their new skills to the test with low-light, live-fire shooting scenarios, while continuing to refine defensive shooting fundamentals. Who: Individuals wanting tips, tricks, practice (and coaching!) on their use of tactical flashlights while shooting in a low-light environment. Why: Because bad guys often like darkness, let's flip the tables and use tactical light to our advantage. Required equipment: reliable handgun; inside or outside the waistband holster that doesn’t collapse on drawing; 150 rounds ammo; at least 1 spare mag w/mag holster (or spare speed loader for revolver); no Serpa holsters please. Several light options will be available for student use, or you may purchase during the class at a discount.